SYNERGY HomeCare is the most trusted name in non-medical home care with offices throughout the United States. The need for non-medical, in-home care is growing at an unprecedented rate and SYNERGY HomeCare is at the forefront of this exciting business opportunity. There are now over 34 million people in the U.S. over age 65, approximately 12% of the population. In 25 years, this age group will grow to over 80 million. With our established franchise concept, you can help the right individuals provide valuable non-medical home care services—services that directly impact the quality of life of our clients and their families. Franchise training and support is the key to successful business. SYNERGY HomeCare presents a special opportunity to the entrepreneur who wishes to meet the profound market need for non-medical home care. Our established methodologies can help the right individuals provide valuable services—services that directly impact the quality of life of our clients and their families. SYNERGY HomeCare was rated #1 franchise system by RedHotFranchises.com for three years in a row. We also were rated #1 by Kiplinger magazine as the fastest growing franchise with staying power. Prior experience in the non-medical homecare industry is not required of our franchise partners. 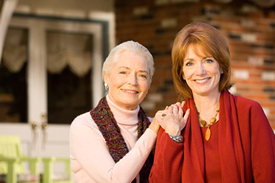 Frequently, SYNERGY HomeCare business owners come from different experiences and backgrounds. Training - Our training program ensures that each franchise partner has the knowledge and tools needed to start and grow their own Synergy HomeCare franchise. You will be assigned a pre-opening business consultant who will guide you and ensure your startup is smooth and successful. A pre-class workbook guides the new franchise partner through the critical research they need to successfully conduct business in their local area. Then a five day training program is conducted at our Franchise Support Center to learn all aspects of the SYNERGY HomeCare operating and sales systems. Our Franchise Support Center staff come from the home care industry and teach based on direct home care experience. Marketing - Core customer research is very important to us, which is why Synergy HomeCare has invested hundreds of thousands of dollars to help identify what our clients want and expect when they start services with SYNERGY HomeCare. Software - Exceptional software is essential to running a successful franchise. We integrated a web-based scheduling software and CRM solution that gives you the power to start up and run your franchise effectively and efficiently. Investment - To become a SYNERGY HomeCare Franchise Partner requires an initial cash investment that ranges between $59,000 and $156,000. Franchise Partner candidates are also required to have minimum personal net worth of $150,000. Ask us about financing options! "Starting your own business is a very scary prospect and requires much research and dedication. Synergy HomeCare Franchising has been there to walk us through the process from A to Z! Questions are answered, most of the time even before being asked!...the week long training session gives all new franchise owners the tools needed to start a Synergy HomeCare agency, regardless of prior experience." Thank you for your interest into SYNERGY HomeCare franchise opportunities, which is the first step into building your own business. Please introduce yourself to us by completing the form to the right and one of our Franchise Development specialists will contact you right away. 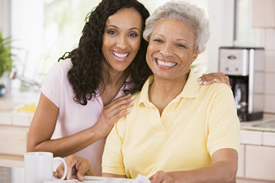 We look forward to helping you learn more about Synergy HomeCare.